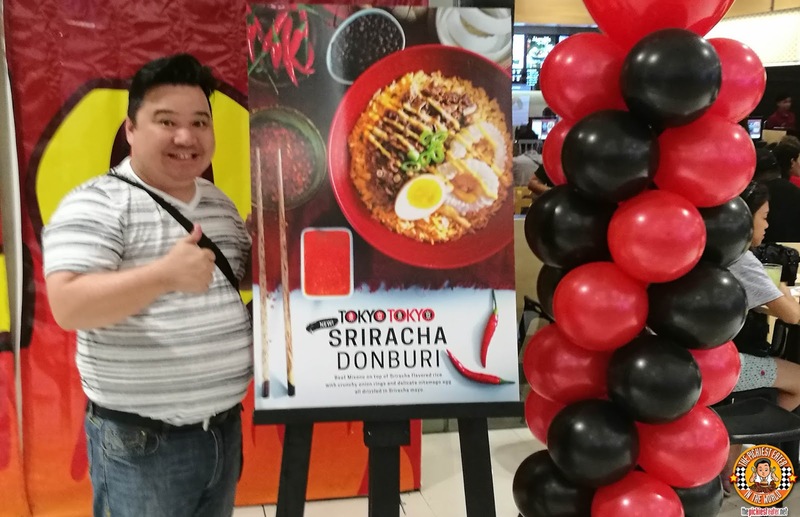 THE PICKIEST EATER IN THE WORLD: SUMMER HEATS UP WITH TOKYO TOKYO’S SRIRACHA DON! Sriracha has continued its unstoppable march to global prominence, as more and more restaurants are discovering ways to innovate their dishes with this fiery sauce. Always taking the lead when it comes to bold dishes that don’t conform to the norm, Tokyo Tokyo’s latest addition to their Premium Donburi line will undoubtedly fire up your taste buds.. The New Sriracha Donburi! 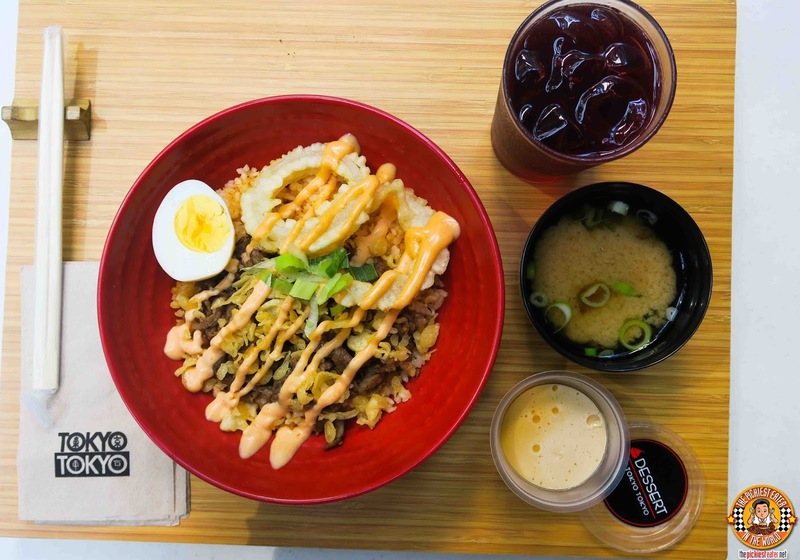 The Sriracha Donburi finds ways to tantalize your senses without totally overwhelming you with spiciness. Though my tolerance for spicy food isn’t at all that high, I can say that I found the level of heat to be manageable.. But make sure you get a drink (When in Tokyo Tokyo, OF COURSE you go for the Red Iced Tea)! 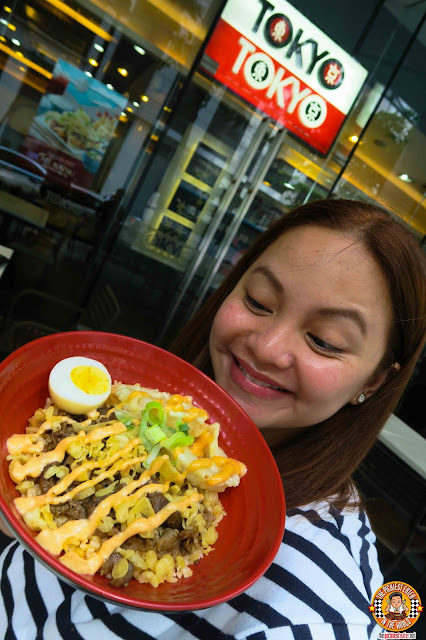 Tokyo Tokyo’s Sriracha Donburi Bowl begins with their popular Beef Misono. 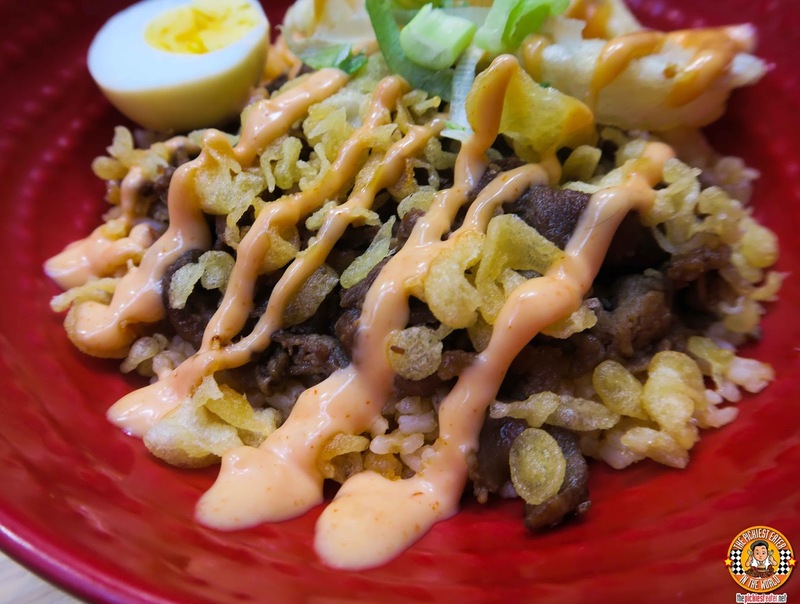 Strips of tender beef are laid out over a bed of Sriracha flavored rice, then bits of tempura crumbs are then sprinkled on top of the meat, giving it an added contrast of texture. Then, a healthy amount of Sriracha Mayo is drizzled all over the dish, further elevating the flavor profile of the meal. 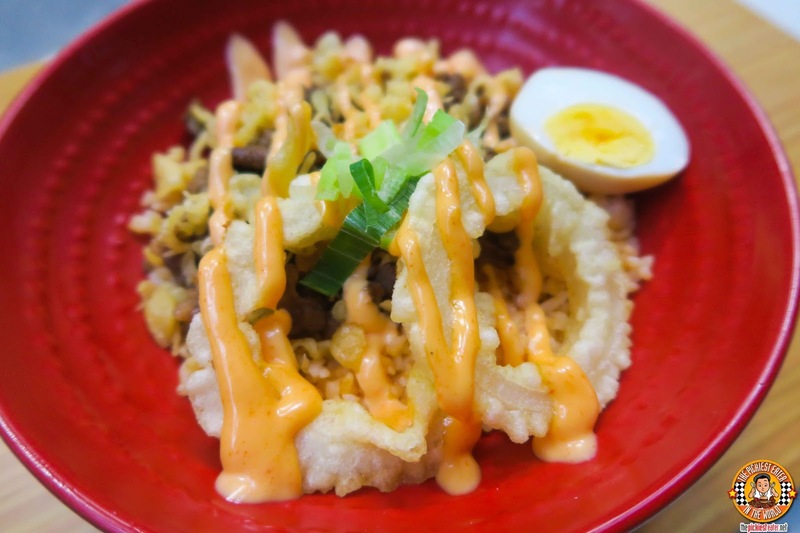 The Sriracha Donburi also comes with crunchy onion rings on the side, as well as a Nitamago egg, making it even more filling as a full meal! Rain sequestered my Nitamago Egg before I even got a chance to try it! 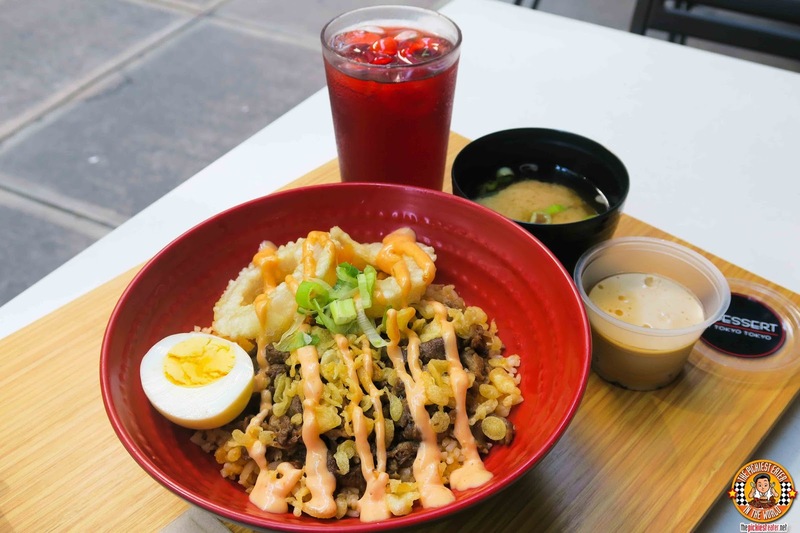 Tokyo Tokyo’s Donburi Line includes Pork Katsudon, Chicken Oyakodon, Beef Pepper and Tempura, however if you’re looking to spice up your summer meals at an affordable price, look no further than Tokyo Tokyo’s New Sriracha Donburi! Available at all Tokyo Tokyo outlets nationwide! Follow @TokyoTokyoPhilippines on Instagram and Facebook, and @TokyoTokyoPHL on Twitter!